Dancing designs of sheer brilliance will brighten your look and lift your spirits. 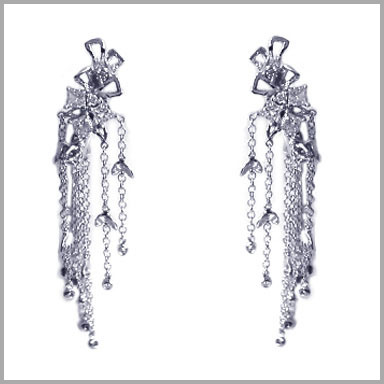 These earrings are crafted in your choice of polished 14K white gold. 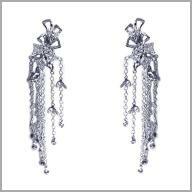 Each earring glitters with diamonds in prong settings. The total diamond weight is approximately 1.28ct with a color of H and a clarity of SI.